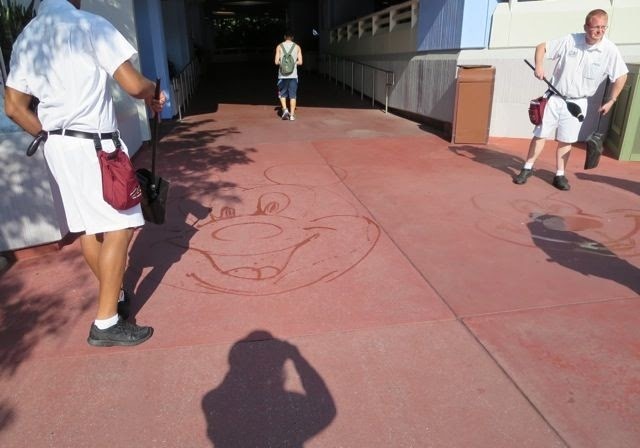 I know I have done an article previously about the custodial staff doing water drawings on the sidewalks at either Magic Kingdom or Epcot but on my latest trip (May 2014) I saw something I have not seen before. Lots and lots of cast members in one area doing water art. There had to be 7 or 8 CM's who were drawing, I know one them was learning how to draw with the water broom. And lots of us visitors were trying their hand at drawing as well. It was a very, very hot afternoon and the drawings were evaporating quickly and then just as quick, getting drawn again. 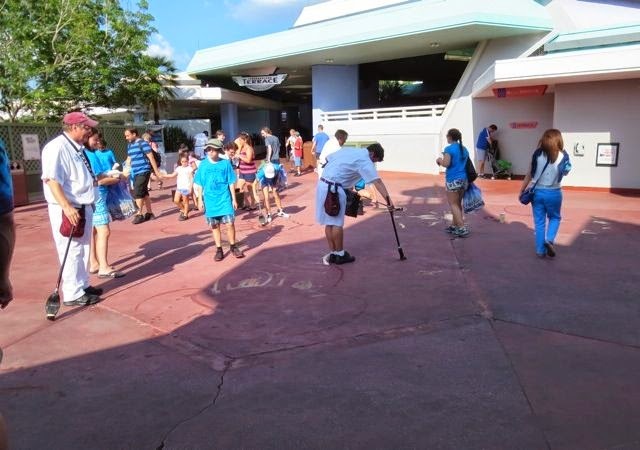 I had walked through the Tomorrowland Terrace area and towards the Plaza Ice Cream area and this is what I found. As you can see, these folks had "drawn" a crowd. Even the littlest of visitors can draw! While the art may be temporary, the memories live on.